Think about your typical daily routine. If we had to guess, we'd say it probably involves doing a whole lot of inside stuff and not much outside. If so, you're not alone. Statistics say that as a country, we Americans spend only about 10 percent of our lives outside. Ten percent. Mayo Clinic and Delos, a real estate company with a health and wellness bent, are partnering up to study how this affects our bodies and brains, as well as what we can do to counteract it. 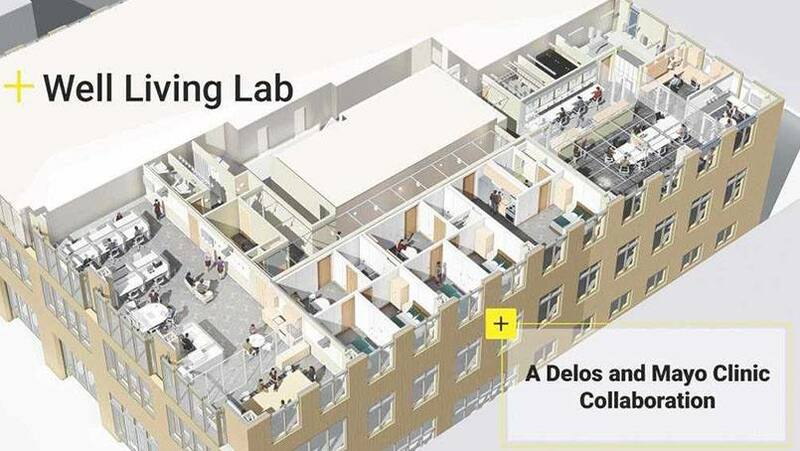 Fast Company reports that Mayo and Delos have created a new "state-of-the-art" Well Living Lab to "measure every aspect of an indoor space and track how it affects a person's biological functions." Writer Elizabeth Segran and others toured the new Well Living Lab space prior to the start of Mayo's 2015 Transform Symposium in September. Segran writes that the space initially looked to be less "cutting-edge scientific research area" and more like "a series of generic rooms you'd see anywhere." She soon discovered that the "series of generic rooms" is anything but. "Beneath the surface … every aspect of the rooms is being monitored," she writes. "The bed contains sensors to determine exactly how a person is lying down and how much pressure is being exerted on each body part. There are cameras everywhere. Light from the windows is measured around the clock. Even the air is being tracked." That's not all, of course. "Behind the rooms, there is an impressive control center where the data from all of the rooms is processed and where each part of the lab is managed," Segran writes. "This will allow scientists to replicate studies exactly or modify them in small ways to learn new things." Those new learnings, according to Brent Bauer, M.D., medical director of the Well Living Lab, will hopefully include ways that Mayo Clinic and companies like Delos can build healthier indoor spaces for all of us to live, work and play. (When we can't be outside, of course). "There is a growing awareness and body of scientific evidence that indoor built environments can affect human health and well-being," Dr. Bauer said in announcing the opening of the Well Living Lab. And conventional wisdom says that affect is not for the better. However, he says, "New knowledge shows that by building healthier indoor environments, we can actually preserve and enhance human health and quality of life." To that end, the lab will "test ideas, technologies, products and services" from around the world "in real-life settings" to assess their health benefits, according to Douglas Wood, M.D., medical director of the Mayo Clinic Center for Innovation. Initially, the lab will look to test products related to air, water, nourishment, light, fitness, comfort and mind. For more information, visit WellLivingLab.com. Then, be sure to contribute to our overall wellness by sharing your comments below. You can use the social media tools to share this story with others .